THIS IS OUR HISTORIC WINNERS LIST FOR LAST YEAR, 2015 ONLY. NOMINATIONS ARE NOW CLOSED FOR 2016 & VOTING WILL OPEN DECEMBER 2016 for 2016! Click here when the link goes LIVE ON FRIDAY DECEMBER 9th 2016 for 2016 VOTING!!! We are delighted to announce the sixth annual TAROSOPHY awards. 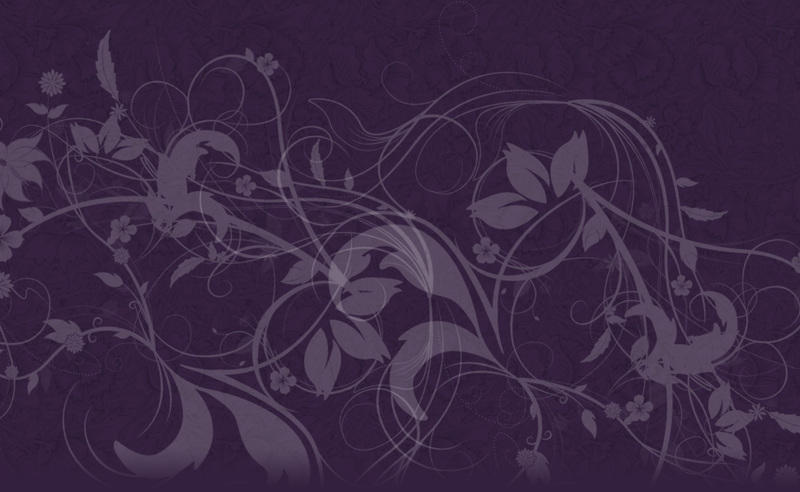 These are nominated and voted by many hundreds of tarot professionals worldwide, and represent the industry and profession in our diverse community. The award-winners are announced to an audience of over 100,000+ people through our social networks and are promoted over the following year through our magazine, Tarosophist International and Facebook Page, now reaching 250,000+ people through promotion. We would like to congratulate the winners this year and thank all our association members, volunteers, and staff for their engagement in what has been an innovative year for Tarot. Our social platforms include the largest tarot discussion group in the world on Facebook and our official Facebook Page. The first two honorary awards are presented by the Association itself to those two people who have contributed during the year to our vision of restoring the spiritual dignity of Tarot. The Tarosophist Award goes to an individual who we feel represents the spirit of Tarosophy; open, real, curious, honestly spiritual without pretence and someone who engages with life, not seeks to escape it. Jason has quietly guided and mentored us in particular throughout 2015 as we grew beyond expectations, providing a voice of sanity, a reasonable resolution, and a touchstone of common-sense. As an unpaid volunteer, Jason has embraced our vision but remained properly sceptical and grounded, and in doing so has become the rudder by which we have steered our way through many a potential crisis. The tone of our group, with over 18,000+ members, owes much to Jason’s work in our moderator group, keeping us all sane and safe in social media space. We are glad to award this recognition to Jason, and a lifetime membership of the Association. Alice produced the Ghetto Tarot, raising awareness and funds for Haiti, a country with which she has much familiarity. Her work in itself is an utterly professional production – the Kickstarter campaign was almost 500% over-funded, received positive coverage in the top magazines and newspapers, including the Guardian (UK) – and was delivered on time, including a huge hardback book and high quality photographic deck. This was despite a busy independent career and life, and without much fuss or furore. Her responses to entrenched critiques of her project were professional, open and genuinely curious, disarming any conflict that would have derailed many of us in such an ambitious piece of work. We have met Alice on several occasions and vouch for her work ethic, sense of justice, and dedication to her chosen art and profession. 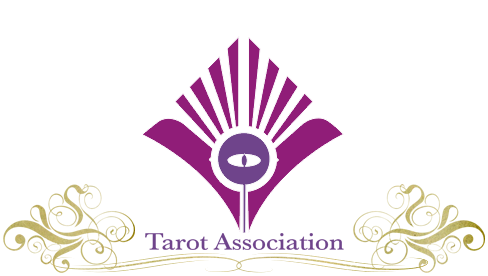 Alice is awarded lifetime membership of the Tarosophy Tarot Association and our support in any future projects on which she may embark. 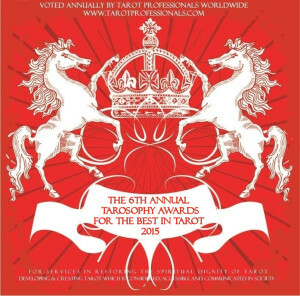 We next turn to the nominations and winners in a growing number of categories as voted by our tarot professional world. Winner: The Green Witch Tarot (pub. Llewellyn) by Ann Moura (Author) & Kiri Ostergaard Leonard (Illustrator). Beautiful Creatures Tarot (pub. Schiffer) by J. R. Rivera (Author) & Jasmine Becket-Griffith (Illustrator). The Night Sun Tarot (pub. Lo Scarabeo) by Fabio Listrani. Tarot D: The Didactic Tarot (pub. Schiffer) by Jeffrey M. Donato. The Thelema Tarot (pub. Lo Scarabeo) by Renata Lechner. The Raven’s Prophecy Tarot (pub. Llewellyn) by Maggie Stiefvater. Winner: The Silson Lenormand by Neil Lovell. The fifth Lenormand from Neil Lovell of Malpertuis Designs, this deck adopts a Medieval style to a Marseilles equivalent Lenormand. The New York Lenormand by Robert Place. Alternate Realities Lenormand by Jerri Totten. Winner: The Fountain Tarot by Jason Gruhl, Jonathan Saiz & Andi Todaro. The Fountain Tarot was a clear winner as a modern, sleek and stylish design that reads well in practical use. Winner: Ghetto Tarot by Alice Smeets. The Ghetto Tarot set itself apart by its professional production and huge companion book, and as a labour of love for Alice Smeets. Winner: Tabula Mundi Colores Arcus by M.M. Meleen. Psychobilly Tarot by W Kurt Wenz. The Major Arcana by Oliver Hibert. Winner: Tarot Interactions by Deborah Lipp (Llewellyn). Whilst there were nominations for last years winner, Holistic Tarot, and for a book that will count in 2016, the Deviant Moon Companion Book, there were surprisingly few nominations for books that really broke the mould. 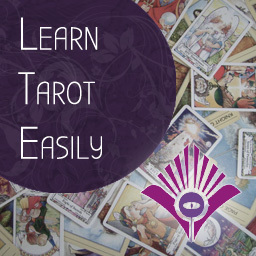 We also discounted the Crowd-Funded Tarot Fundamentals (ed. Sasha Graham) as Marcus & Tali of the Tarot Association are listed co-authors. Out of the remaining few original books in 2015, Tarot Interactions won on a clear delivery of an important practice in tarot, the combining of cards to create a reading. Winner: Arcana: The Tarot Poetry Anthology, ed. Marjorie Jensen. Sometimes a book may slip under the radar, despite the amount of work that goes into producing it and its value. Of all the books self-published in 2015, Arcana: The Tarot Poetry Anthology rose to the top as a simple and loving collation of creative work on tarot. Winner: Il Lombardi Danneggiato by Doug Thornsjo. If you need a designer to distress the hell out of a reproduction deck, then Doug of Duck Soup Productions is your guy. This deck brings the Lomardi style of deck to a wider audience. Winner: Kipper Fin de Siecle by Ciro Marchetti. In a sense the follow-up to his earlier Gilded Reverie Lenormand, rather than resting on his laurels, Ciro pulled the Kipper deck out of the bag. In doing so, he also realised a long ambition of several of us, in adding an “augmented reality” component to the deck that is truly ground-breaking. Winner: The Winged Enchantment Deck (pub. US Games Systems) by Lisa Hunt (Illustrator) and Lesley Morrison (Author). Winner: The Arthur Rackham Oracle by Doug Thornsjo. The second award this year for Mr. Thornsjo, the Arthur Rackham deck uses his distinctive keywords such as “coercion” and “quackery” to provide a provocative oracle. The Hermes Playing Card Oracle by Robert M. Place. The Earthbound Oracle by Skullgarden. Pixie’s Astounding Lenormand by Edmund Zebrowski (US Games Systems). A playful montage of Pamela Colman Smith’s tarot art re-purposed into Lenormand cards, this originally self-published deck has been an in-house favourite for years. Celtic Lenormand by Chloë McCracken and Will Worthington (US Games Systems). Blue Bird Lenormand (US Games Systems). We congratulate all the nominees and winners and look forward to the exciting and innovative tarot already being released in 2016. There will also be future announcements on our social media platforms with regard to an upgraded Academy-style awards system for future years and an Awards Ceremony at DivinaCon (Las Vegas) in 2017. Here are the winners of the Tarosophy Awards for the previous year, 2014.